Zable Stadium is the main football and track and field venue at William & Mary. Before its dedication as Zable Stadium in 1990, it was known as Cary Field, Cary Field Stadium, or, unofficially, William & Mary Stadium. It is located between the Cohen Career Center and the Alumni House, alongside the Jimmye Laycock Football Center. Cary Field, now the location of Zable Stadium, was named in honor of T. Archibald Cary of Richmond, Virginia, and his father, John B. Cary, both members of the Board of Visitors. Cary Field was constructed from 1907 to 1909, and the stadium was built in 1935. The Board of Visitors approved the present name at their November 2, 1990, meeting. In 1996, the north gate facing Richmond Road was named the John Harvard Randolph '64 Alumni Gate. The stadium is named after Walter J. Zable, class of 1937, president and chief executive officer of the Cubic Corporation, and his wife, Betty C. Zable, class of 1940. Walter Zable was a track and football star during his time at William & Mary. 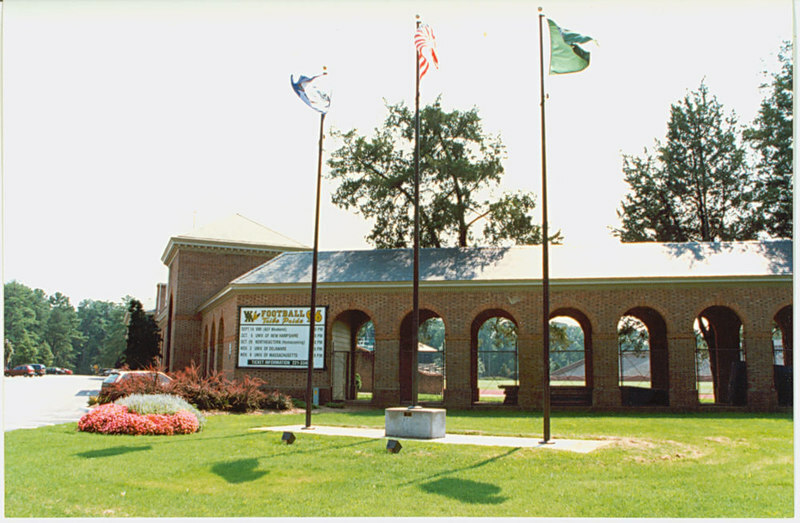 Front of Zable Stadium, 1996: An image of the front of the current Zable Stadium in 1996. ~ Source: University Archives Photograph Collection, UA 8. ~ Creator: College of William and Mary. 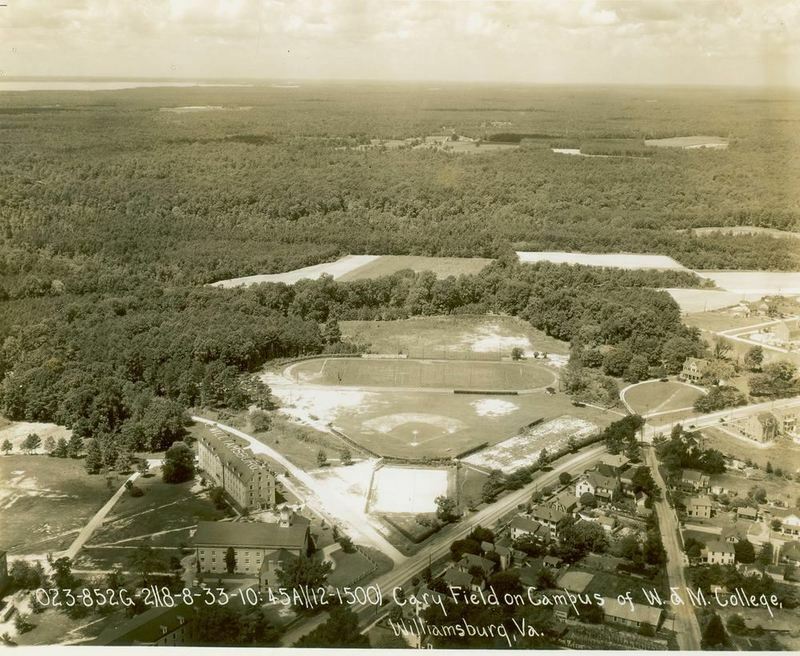 Cary Field aerial, circa 1933: An aerial image of Cary Field circa 1933. ~ Source: University Archives Photograph Collection, UA 8. ~ Creator: William & Mary. 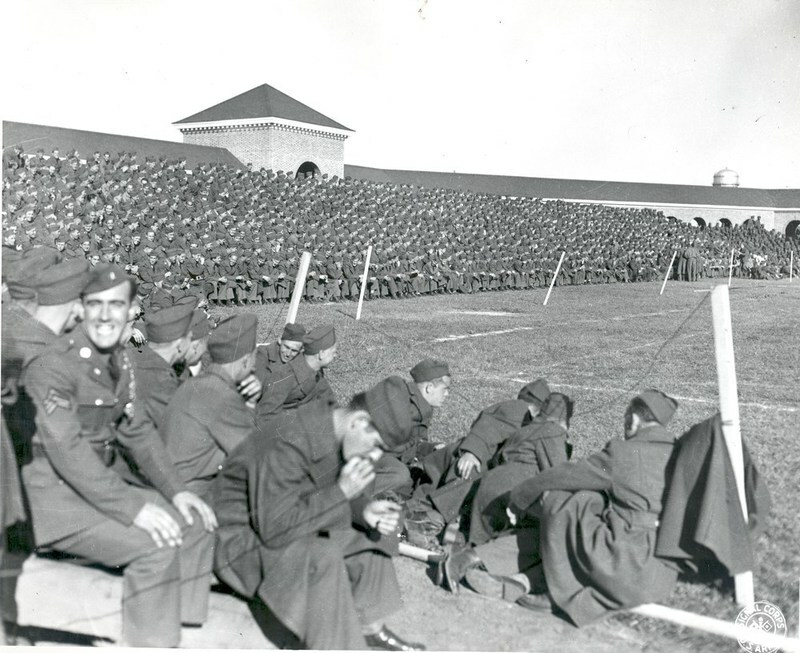 Servicemen in Cary Stadium, circa 1944: Cary Stadium filled with servicemen in uniform circa 1944. ~ Source: University Archives Photograph Collection, UA 8. ~ Creator: College of William and Mary. 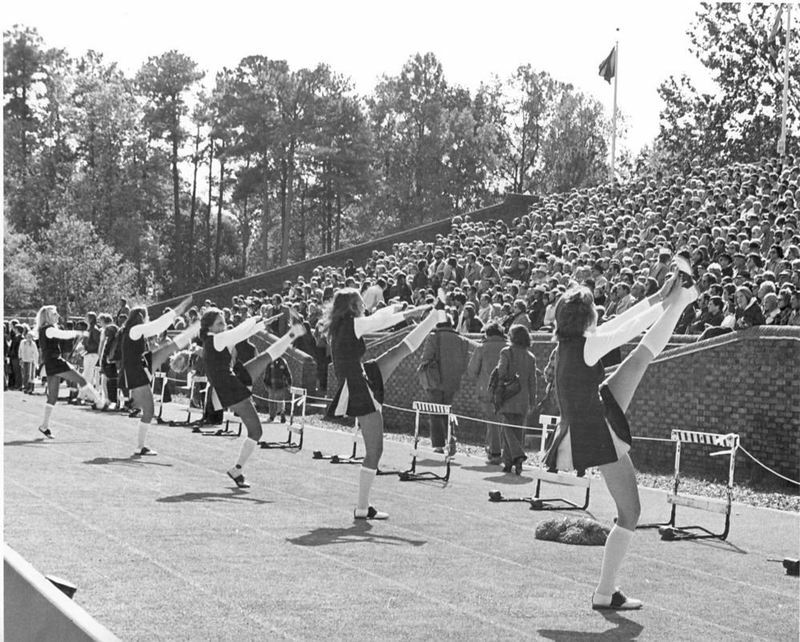 Cheerleaders in Zable Stadium, circa 1970: William & Mary cheerleaders at a football game in Zable Stadium, circa 1970. ~ Source: University Archives Photograph Collection, UA 8. ~ Creator: College of William and Mary. 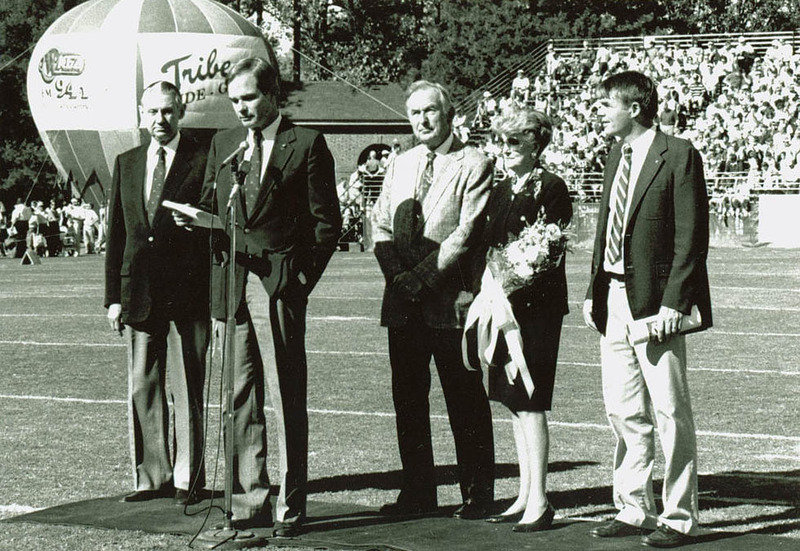 Zable Stadium Dedication, 1990: A photograph of the dedication of Zable Stadium during Homecoming 1990. Third from the left is Walter J. Zable, William & Mary undergraduate from 1933 to 1937 and honorary degree recipient in 1978. ~ Source: University Archives Photograph Collection, UA 8. ~ Creator: College of William and Mary. 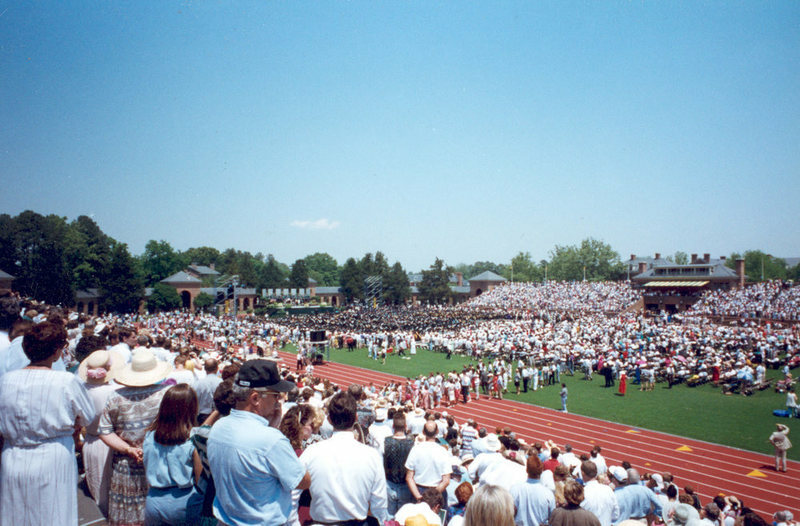 Commencement, 1993: The Commencement Ceremony of 1993 taking place in Zable Stadium. ~ Source: University Archives Photograph Collection, UA 8. ~ Creator: College of William and Mary. 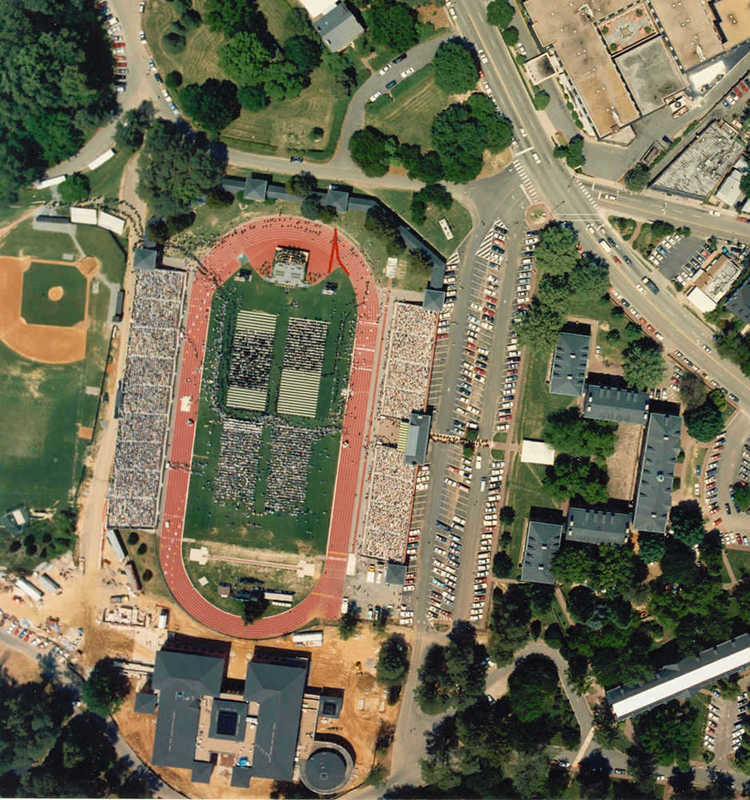 Zable Stadium, 1993: An aerial photograph of Zable Stadium in 1993, likely filled for a high school graduation. ~ Source: University Archives Photograph Collection, UA 8. ~ Creator: College of William and Mary. Cary Field, circa 1996: An empty Cary Field and stadium circa 1996. ~ Source: University Archives Photograph Collection, UA 8. ~ Creator: College of William and Mary. 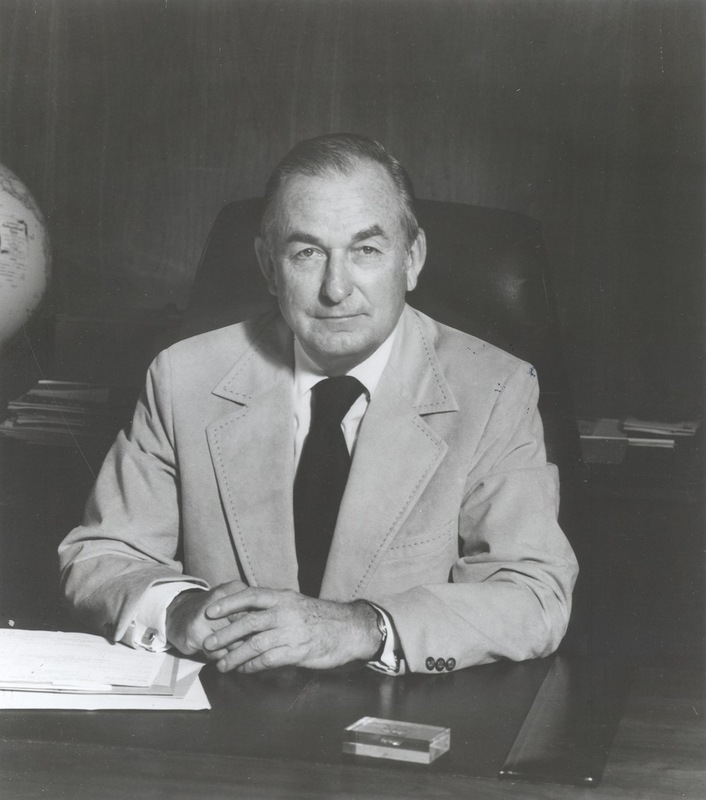 Walter J. Zable, circa 1980-1990: A black and white photogarph of Walter J. Zable, class of 1937, sitting at a desk, circa 1980-1990. Zable was a football, baseball, and track star during his time at William & Mary. ~ Source: University Archives Photograph Collection, UA 8. ~ Creator: College of William and Mary. 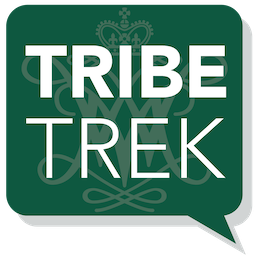 Special Collections Research Center, Swem Library, College of William and Mary., “Zable Stadium, Dedicated 1990,” TribeTrek, accessed April 26, 2019, https://tribetrek.wm.edu/items/show/36.